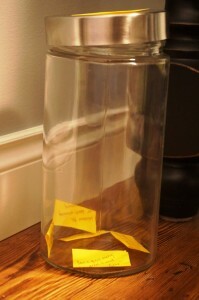 I started a Happiness Jar recently. 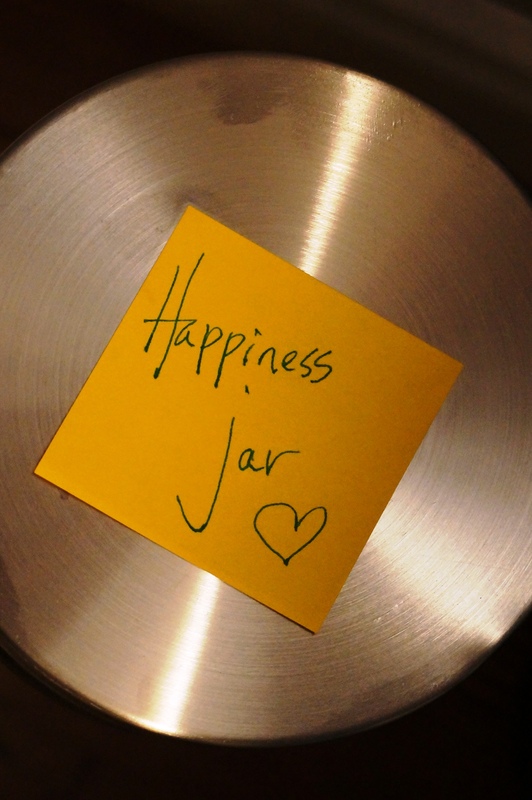 What’s a Happiness Jar, you ask? It’s simple. At the end of each day, I grab a scrap of paper and write down one thing I experienced that day that made me feel good. It can be the smallest thing – like someone smiling at me at the grocery store – or a bigger whammy – like winning $10 on a scratch-and-save ticket. Regardless, I’m building a cache of some of the positive daily bits and pieces of my life. What a simple way to refocus on the joyous moments before heading to bed at the end of each day! 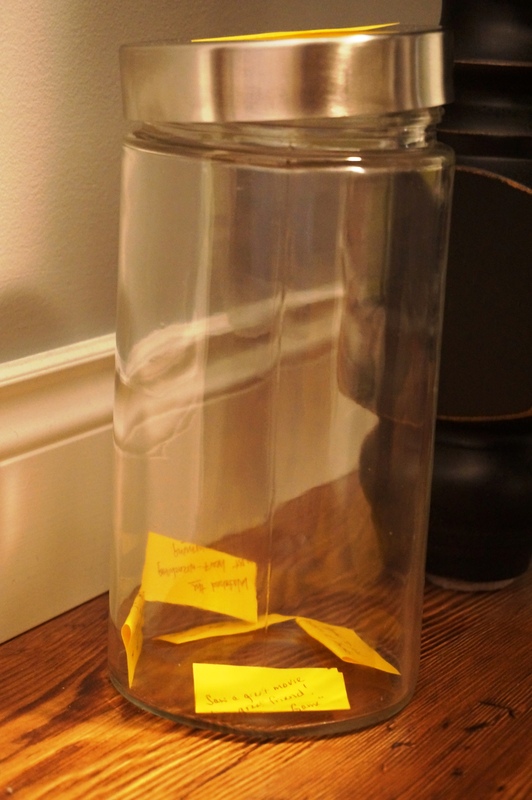 I got the idea from Elizabeth Gilbert (she’s the real Eat, Pray, Love girl), who has been keeping a happiness jar for years. She has found this daily ritual to be especially therapeutic during tough times. Not only do you lift yourself – if only temporarily – out of the doldrums, but you have a ready stash of ‘happy bits’ to read through on darker days.